Mathew Solomon is a Boston-based sound designer, composer, game developer, and classical trombonist. He has collaborated with numerous filmmakers and game developers in the Boston area, and is a two-time nominee for Best Music at the 48-hour film projects in Boston and New Haven. 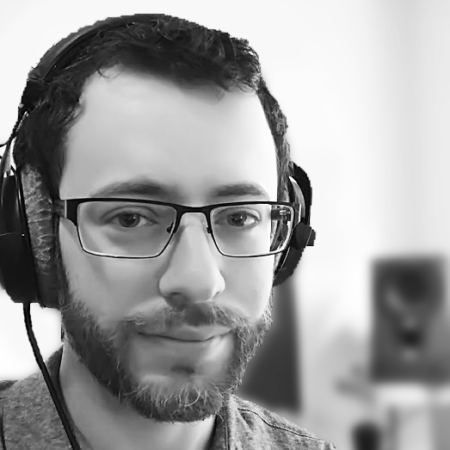 He is also one of the co-founders and organizers of Game Audio Boston, a local community of audio professionals and students, providing monthly lectures and networking sessions. Outside of the music and audio world, Mat is a developer on the Universe Sandbox team – a thriving video game project spanning the entertainment and academic exploration of a realistic astronomical simulation. Mat is a seasoned pit orchestra musician, having performed in dozens of professional and non-professional productions, as well as acting as music director for Kiss Me Kate (Case Footlighters). He is also a regular performer with the New Philharmonia Orchestra, Longwood Symphony Orchestra, and the Orquesta Mía salsa band.